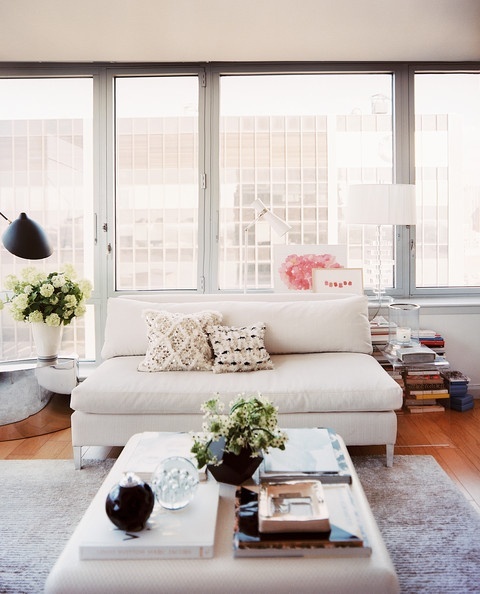 This Manhattan high rise apartment belonging to Lonny Editor in Chief Michelle Adams is so, so good. I love everything about it. In fact, I'm thinking about stealing the idea of using fabric to cover an entryway console for our new house. Possibly in this fabric that I've been wanting to use. Floor to ceiling windows are. my. dream. Also, can we talk about this pink and white settee for a minute? And the lucite chair that she scored for $100 at a flea market. I mean, I can't even. I recently bought a couple canvases to try to create some sort of abstract black and white art for our bedroom. 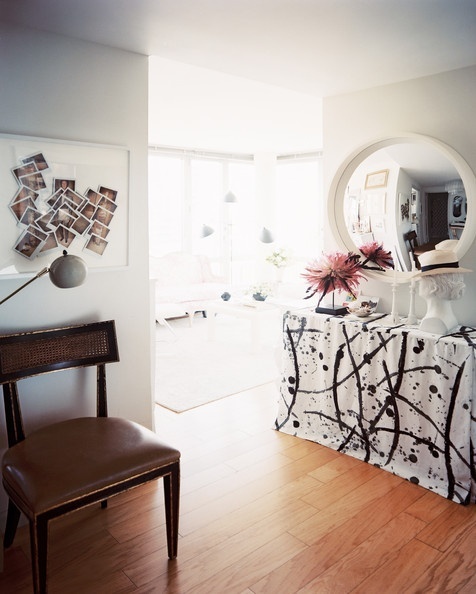 After seeing this black and white beauty in her bedroom, I think I'm going to try to recreate it for myself. How hard can it be to paint dots?